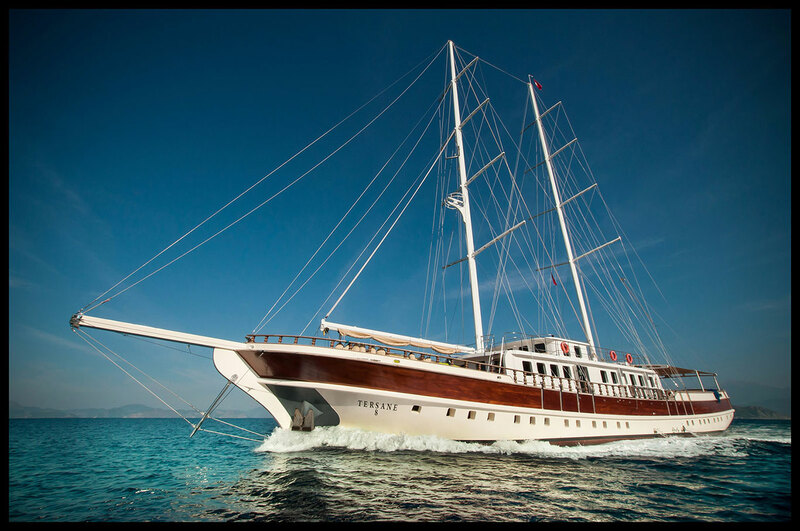 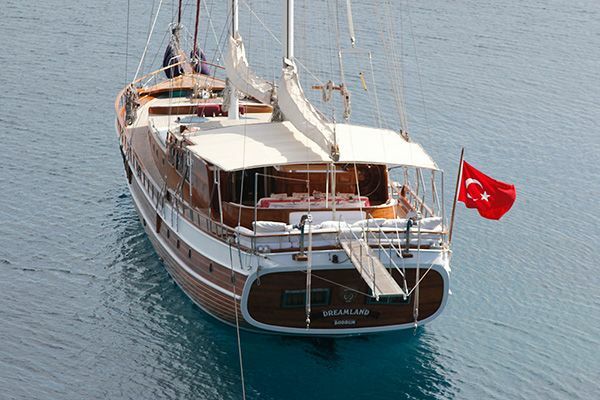 The Deluxe gulet Tersane 8 with her long 42 metre hull and 14 cabins is one of the larger motorsailers available to offer Deluxe gulet holidays along the Turkish coast and into the Greek Islands for groups and families, or corporate meeting and incentive groups, of up to twenty-eight guests. 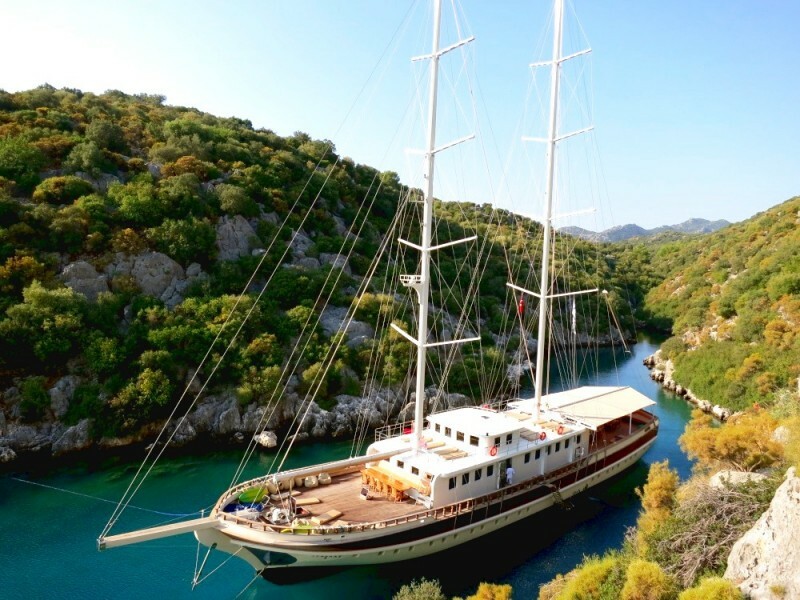 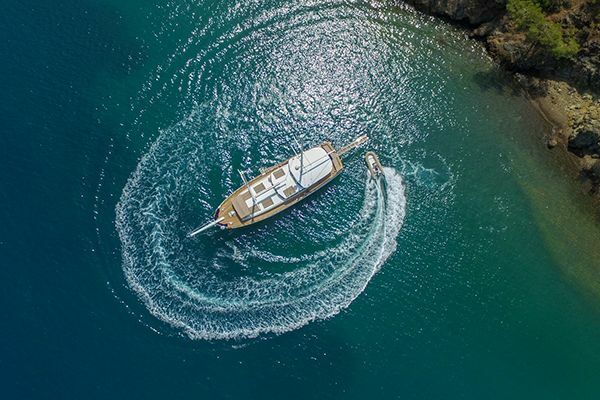 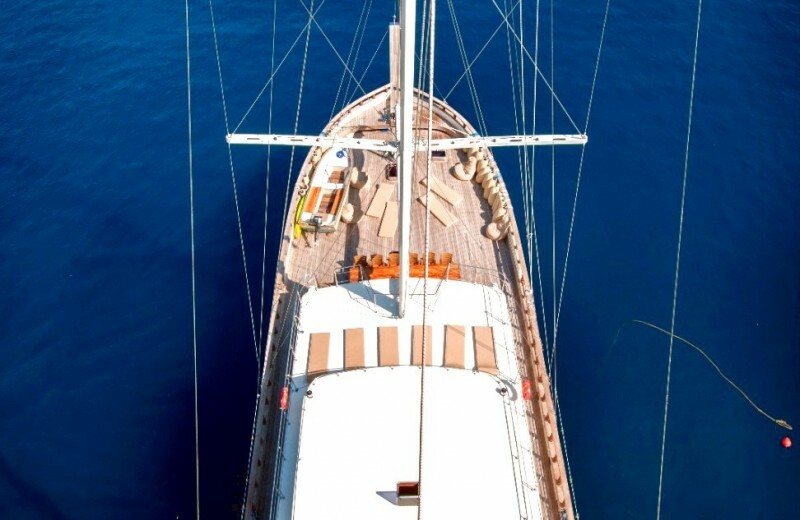 Within her attractive and classic gulet hull, there are all the modern comforts of comfortable beds, well-appointed bathrooms for each cabin, air conditioning, indoor dining and relaxation areas with entertainment systems, and spacious outdoor deck space for dining, sunbathing and relaxing. 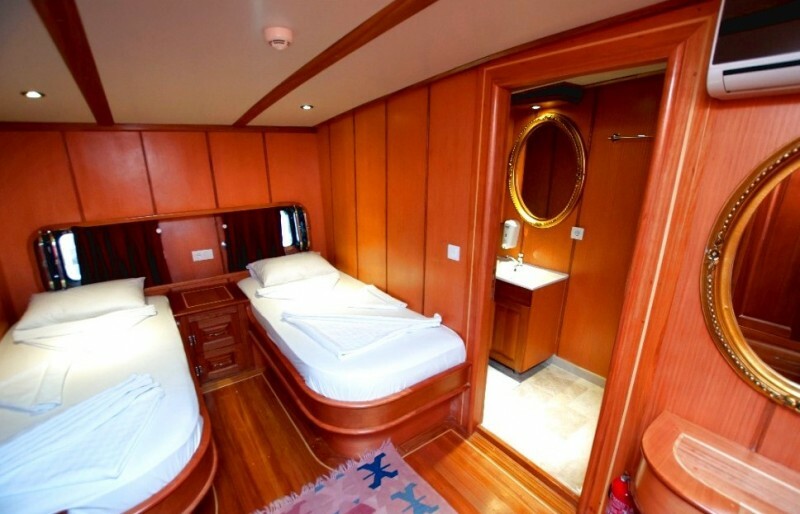 Tersane 8 gullet has eight plus two larger sized double cabins and four twin bed cabins, arranged with a mix of double bed cabins and twin bed cabins both forward and aft. 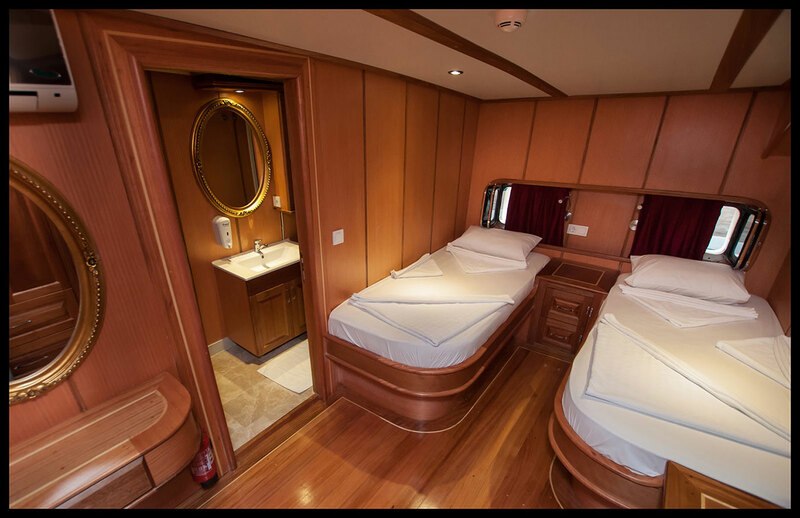 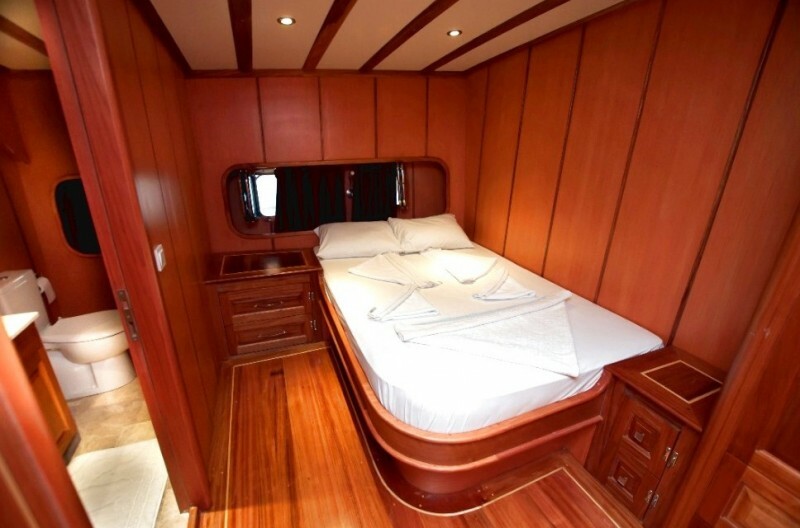 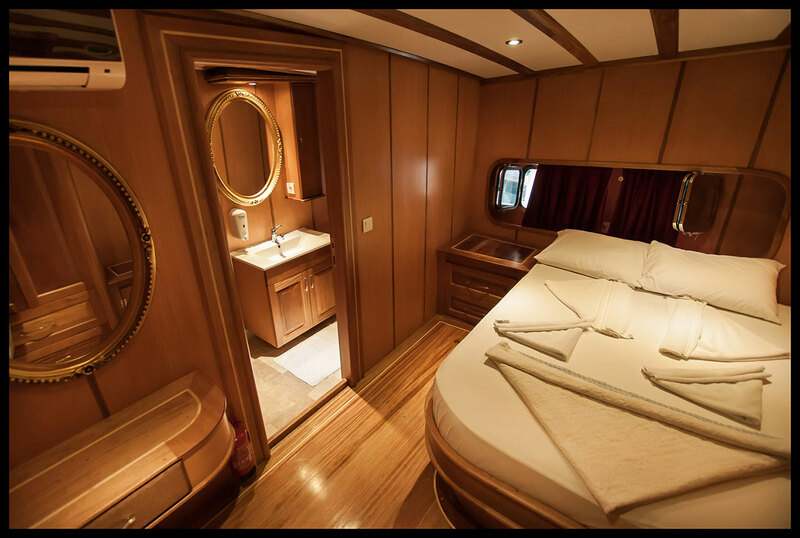 Two of the smaller stern double cabins have a bunk across the foot of the double bed. 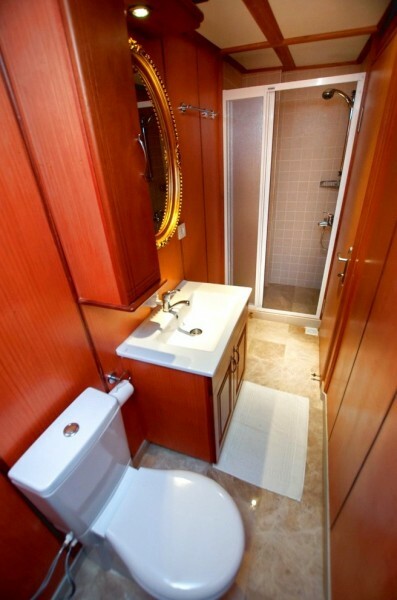 All cabins have en-suite bathrooms and air-conditioning. 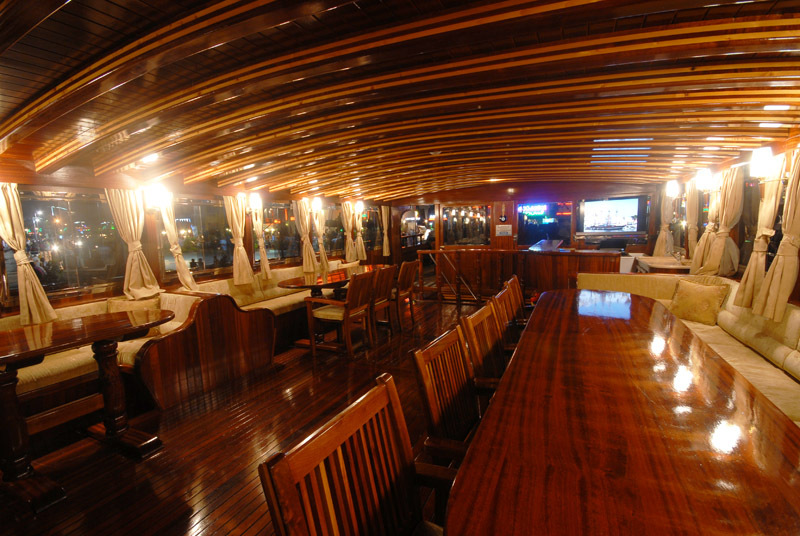 The decor is simply nautical with a timber finish in mahogany and teak wood throughout the cabins, the corridors, salon and outside on deck. 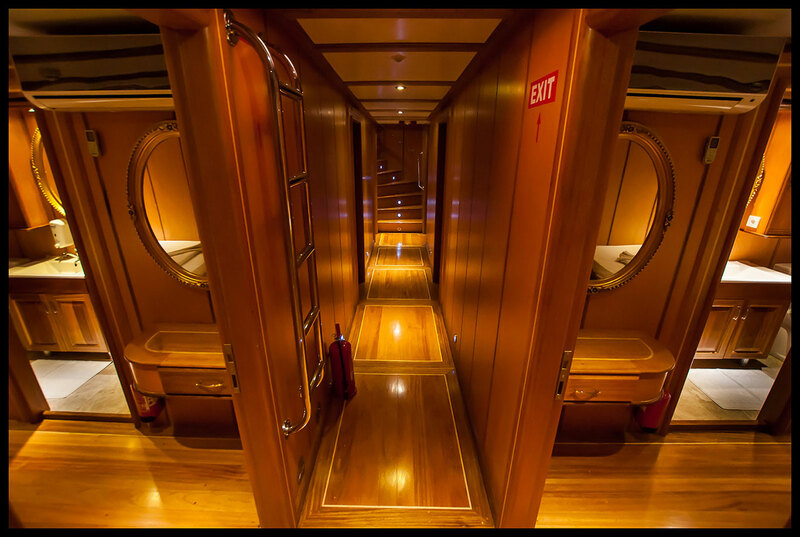 The air-conditioned saloon is part of the coach house built in the middle of the main deck and has two long dining tables with chairs and seating for communal gatherings or using the TV/DVD/ music and internet systems comfortably indoors. 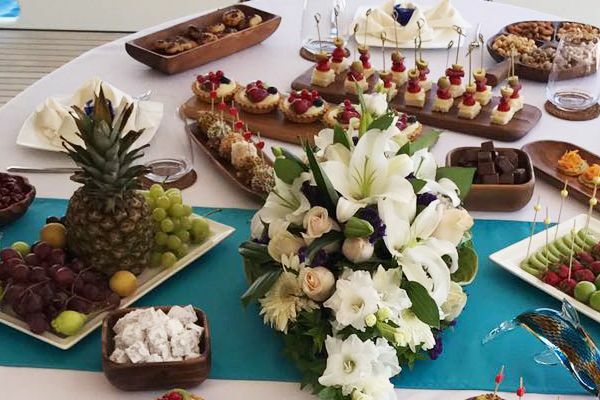 Next to the saloon in the coachhouse is the large light-filled and well-equipped kitchen, where delicious meals are prepared by the experienced chef and assistant. 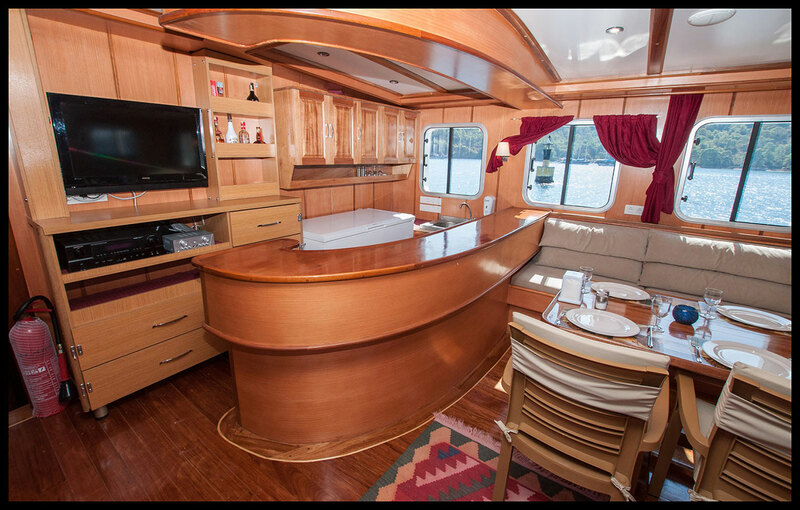 The kitchen/galley has proved to spacious enough for cooking lessons afloat. 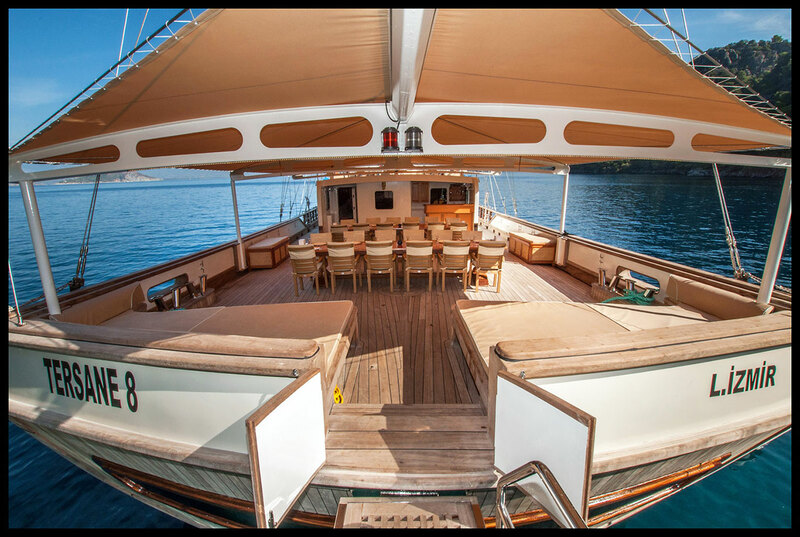 On the main aft deck from the saloon are the deck bar and two more long tables which can seat 30 guests for outdoor dining under the permanent shade awning over the stern deck. 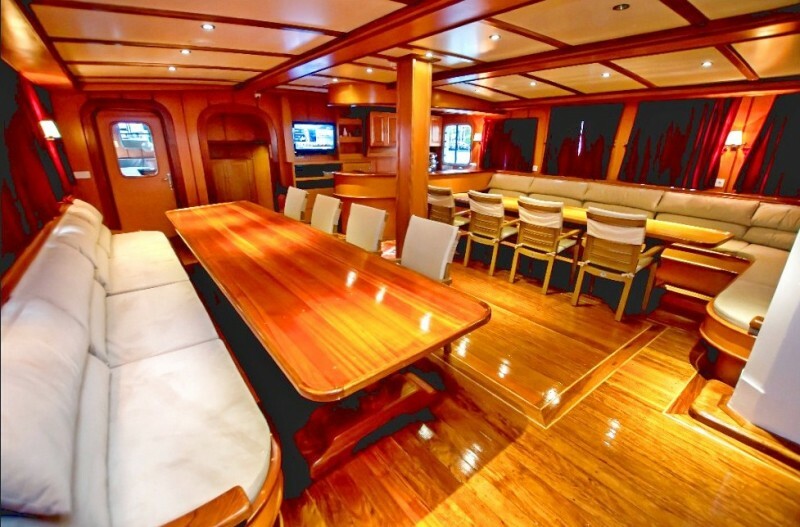 Another long dining table for chatting and dining under the stars or shade is on the foredeck in front of the coach house. 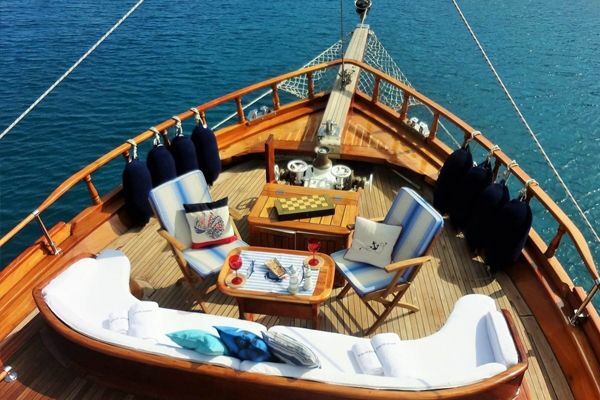 For relaxing on the main deck there are several choices from lazing in the shade on wide cushioned benches across the aft deck stern or soft bean bags to laze in on the foredeck. 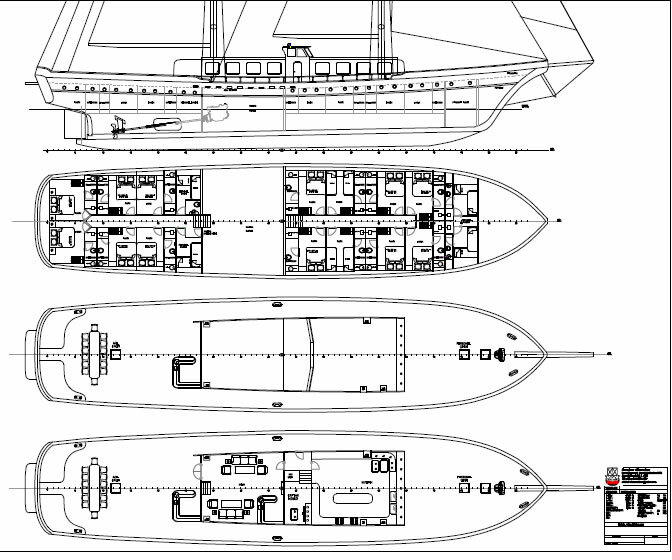 On the coach house roof, above the kitchen and saloon there are two levels of sunbed decks gained by a ladder and above the navigation bridge with access from the side. 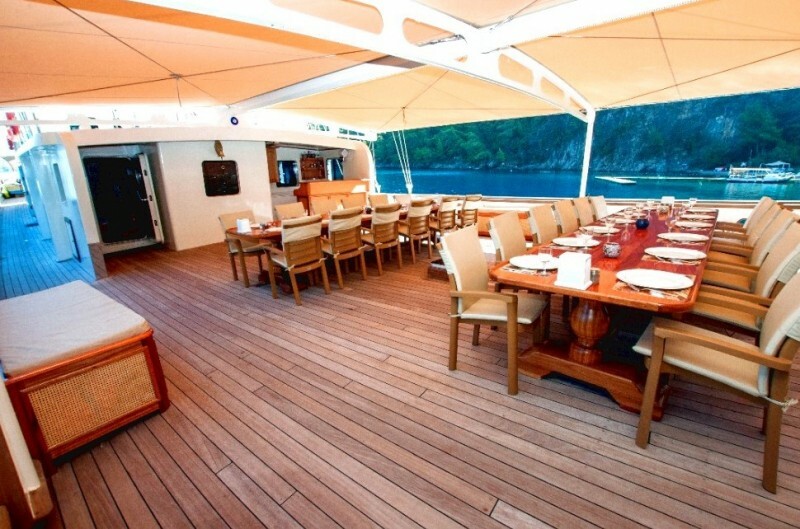 The professional and hospitable captain, chef and crew of five, who have their own separate quarters, attend to all the meals preparation and service, bar service, cleaning, boat care, and use of water toys and equipment by guests, so will do all they can to make sure that the guests enjoy their cruising holiday on the Aegean and Mediterranean coasts of Turkey. 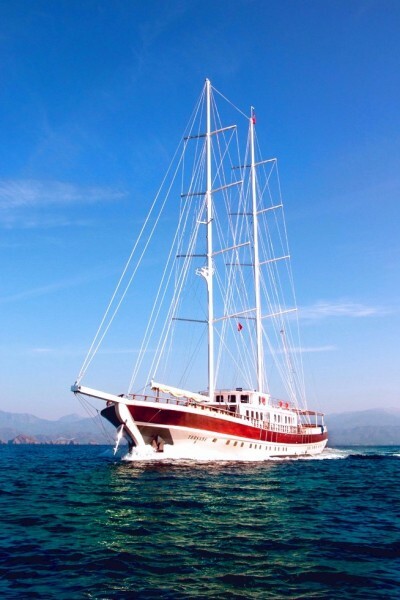 As a motorsailer charter the Tersane 8 not only offers cruising itineraries along the Aegean coast of Turkey, but is one of the rare yacht charters which is licensed to carry its full complement of twenty-eight guests among the Greek Islands of the Dodecanese such as Rhodes, Symi, Kalymnos and Kos. 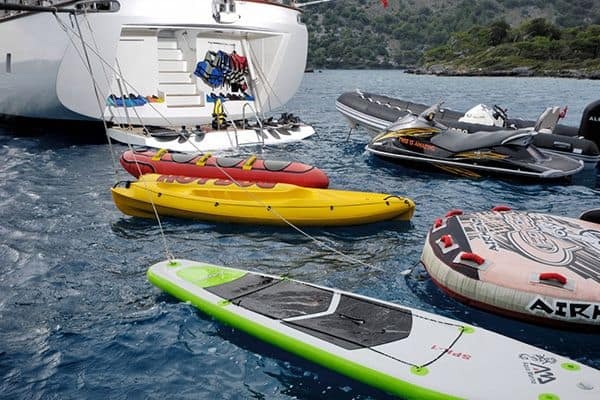 These destinations offer beautiful scenery, fascinating villages and quiet sheltered bays where the active can explore ashore, swim, şnorkel and paddle the canoes in the blue-turquoise waters of the beautiful bays.